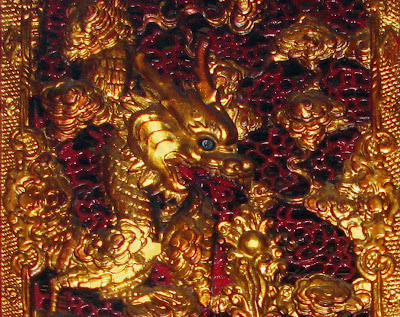 This is a detail from doors in the Man Mo temple on Hollywood Road. 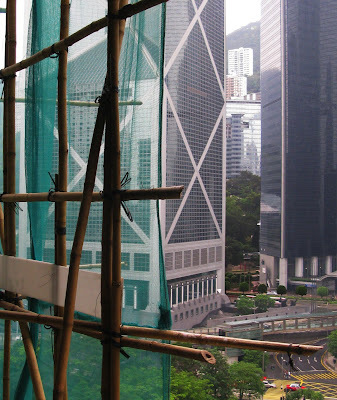 In the middle of the modern architecture of Central, our office building is encased in bamboo scaffolding that looks like something from a crafts project gone seriously awry. 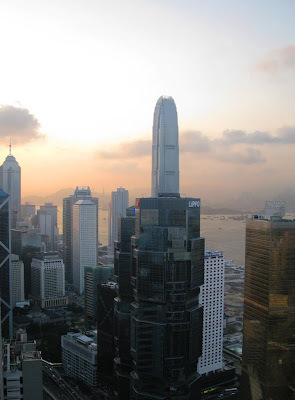 I've seen bamboo scaffolding in Beijing, where it somehow seemed more appropriate -- the workers balanced on the platforms there were all tapping away with hammers, without so much as one power tool anywhere in the vicinity -- but never in Hong Kong. And though it doesn't look as though it's meant for any practical purpose, this morning two window washers were lounging outside my thirteenth floor window taking a cigarette break. Or from the clouds. Or, from a hotel room fifty-something stories up, which is almost the same thing. 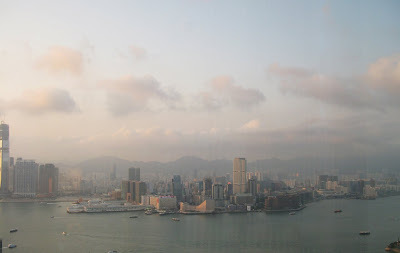 Hong Kong has one of the most beautiful harbors I've ever seen (and I grew up in San Francisco) but it's a very different city viewed from hotel towers or Victoria Peak than it is when you're down on the ground in the crowded, humid streets. This doesn't feel like Asia; this feels like an outtake from "Attack of the Clones." 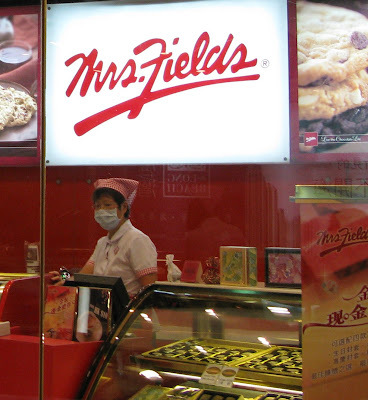 Where they seem much less hysterical about H1N1 flu, and much more efficient. They were monitoring our temperatures as we shuffled through immigration, and though you don't see many masks on the street, almost every shop clerk is wearing one.